What if you took the concept of a river cruise -- with its fare inclusions (such as free shore excursions and complimentary Internet), its port-intensive days and relaxed onboard ambiance -- and built an ocean cruise line around the concept? That's the idea behind new cruise line Viking Ocean Cruises, Whose 980-passenger Viking Star debuted in 2015, and its identical Viking Sea launched in 2016. Viking's designers took their inspiration from the 190-passenger "Longships" in the Viking River Cruises fleet, but had a lot more room to work with a larger oceangoing vessel. In addition to incorporating the most popular features from the river ships (such as the indoor/outdoor Aquavit Terrace), the line added even more dining options, lounges, entertainment venues and enrichment programs, and increased the size of the spa and sun deck areas. How did that work out? 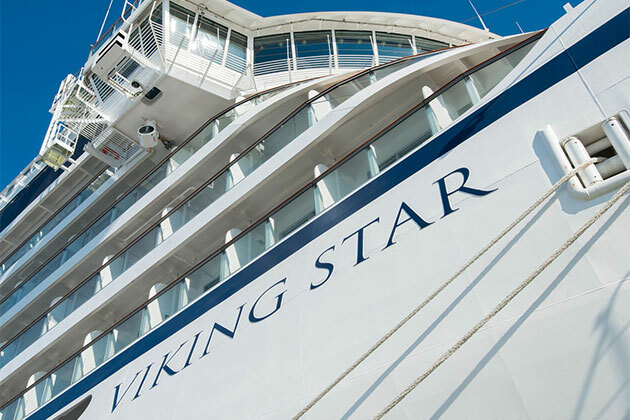 We'll share eight reasons why Viking Oceans' Viking Star (along with its near-identical sibling Viking Sea, which debuted in April 2016) might be the right ship for you. Fearful of a vacation full of rules and regimentation? That's not Viking's style. You won't find annoying announcements reminding travelers about art auctions and bingo (especially since you won't find either activity on Viking Star). 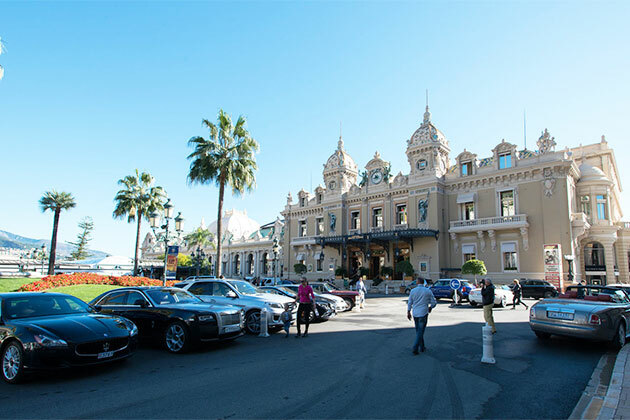 In port, the included shore excursions are offered at a variety of times throughout the day so you can take the morning off and tour in the afternoon or vice versa; you can also feel free to abandon the shore excursion entirely and do your own thing. And while passengers are a social group, we love that restaurants have plenty of two-tops for those who just don't feel like being part of a crowd. On Viking Star, itineraries are fairly packed with ports of call; some have no sea days at all. In addition to visiting numerous ports, the ship typically stays in port way longer than the average six to seven hours you'll find on traditional-minded cruise ships. Often, it will remain docked well into the evening, so you can check out nightlife or dining options on land. One of Viking's greatest assets is that it offers a complimentary, guided tour in every port. While you can upgrade to a more specialized experience, you're not forced to lay out extra cash on tours if you want to learn more about a destination. Viking Star has lots of lovely open spaces. The pool deck is generously spacious with plenty of chaise loungers and easy access to a bar and grill for alfresco treats. The adjacent Wintergarden conservatory, airy and light-filled, is delightful in any season. (Floor-to-ceiling glass panels open up when the weather's nice.) We also loved the lofty Living Room, the ship's three-story indoor hub with its cozy enclaves for reading, playing board games and chatting with friends. One of the best places onboard for solitude is at the nautical two-deck-high Explorers' Lounge. Viking Star's sleek and modern design, with the use of nautical- and nature-inspired shades of blues, yellows and beiges, is elegantly Nordic. Furnishings are beautiful, carefully selected from design studios. We appreciate the ship's decorative touches, such as sculptures, statues and colorful, handblown glass pieces. Lamps are works of art and so, too, are chairs. (We'd occasionally spot passengers actually turning various chairs over to see their designer labels.) Overall, the general ambiance brings to mind a boutique hotel that emphasizes design but not at the expense of comfort. Overall, cuisine on Viking Star is very, very good at eateries that include The Restaurant, its main venue with open seating and lots of tables for two; Mamsen's, a divine Norwegian-focused cafe that features recipes from Viking Oceans' president Torstein Hagen's mother's kitchen; the World Cafe, the first buffet venue we've ever seen with an open kitchen, and The Chef's Table for wine-paired menus. The Kitchen Table, the only dining experience to charge a fee ($199), involves shopping at local food markets with the chef -- and then helping to prepare the evening's feast. The hot ticket -- make your reservations early! -- was Manfredi's, the ship's Italian restaurant. What to order? For appetizers, fried calamari might sound like a cliche, but it was amazing, just crispy enough; it's served with a balsamic aioli. (The asparagus and polenta starter was also terrific.) Pasta is made onboard and the flavor reflects the freshness. We love the Parmesan-crusted lamb chops, bistecca Florentina and osso bucco for mains. 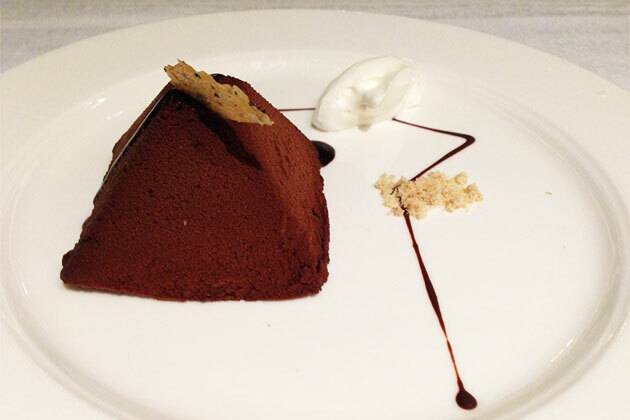 Contender for the absolute best dessert ever, anywhere, is the Nutella-infused panna cotta. Taking a page out of the river cruise playbook, where unlimited Wi-Fi is typically free of charge, Viking Star also offers free service to all passengers, regardless of which cabin category they've booked. Even better: It works well to begin with, but with the ship's port-intensive itineraries, travelers are off the ship most of the day and it's even faster when fewer people are onboard and going online. Sure, all cruise ships have open decks, outdoor pools and promenades for strolling, and Viking's all-balcony cabin design means there's a ton of access to sea air. What's different about Viking Star? It's got the cruise industry's first two restaurants that can convert to open-air eateries with the push of a button. At the Restaurant, the ship's main dining venue, the floor-to-ceiling glass walls can open out onto the ship's promenade deck in good weather. The World Cafe, the ship's more casual eatery, has a generously sized alfresco dining deck -- but even better is that on a good day, even those dining indoors can feel like they are eating outside when the glass exterior walls are opened. Another unexpected place to enjoy the sea air is tucked way up on Deck 9, the Sports Deck, where you'll find a quartet of cozy wicker furniture set-ups, both forward and aft, that are a perfect secret spot. The LivNordic spa, operated by Oslo's Reason D'etre, is beautifully designed with gorgeous ceramic tiling and even its own fireplace. But that's the least of it. The facilities are superb, and designed to hew to Nordic spa traditions, which emphasize the use of alternating hot and cold treatments. There's a heated thermal pool with enclosed hot tub -- and a fabulously exotic snow grotto when you need to cool down. Or better yet, spend some time on the heated tile loungers and then take a rustic, rural-styled shower, in which a bucket dumps cold water on you. The point? It's meant to boost circulation, detox the body and encourage relaxation. 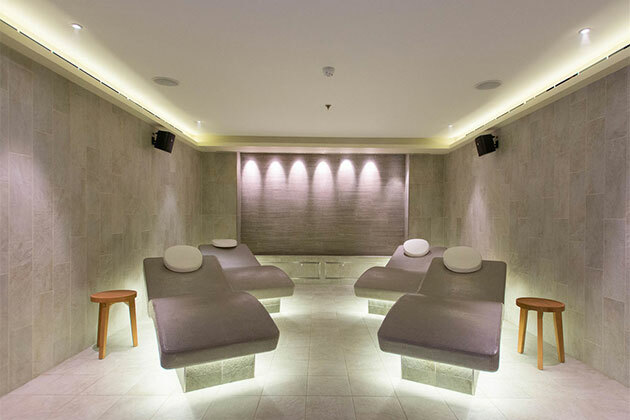 The well-equipped changing rooms for women and men feature cold-water plunge pools, saunas and a chill-out area. And get this: Every passenger onboard has free access to the thermal suite and changing rooms. That's unprecedented in cruising, where typically passengers must pay a fee to access facilities. One more thing: Though you will pay, and quite handsomely, for massage, facial and nail treatments, they're of a very high quality and worth the money. What Makes The World's Most Luxurious Cruise Ship So Luxurious? How Small Is a Small Ship -- and Which Luxury Cruise Ship Size Is Right for You?